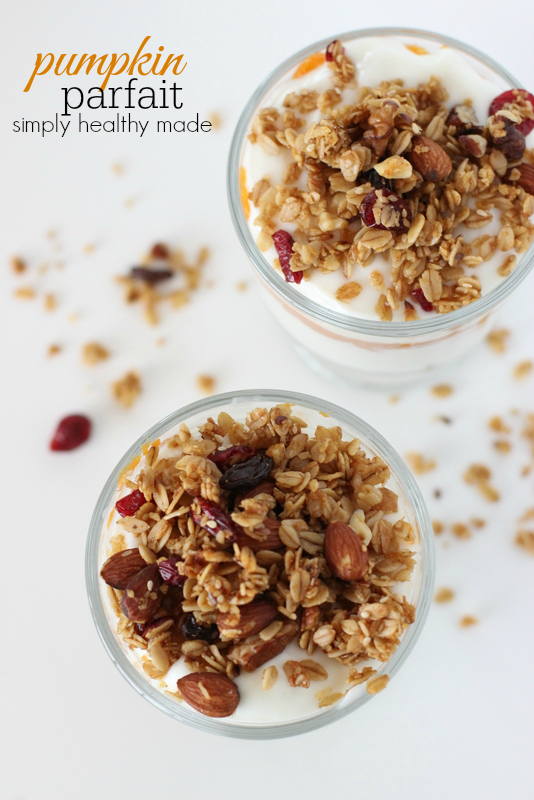 Pumpkin Parfait with Vanilla Yogurt and a crunchy Granola topping for breakfast! Who wouldn’t love to have this not only first thing in the morning but even after a meal as a dessert. This delicious little dish was not only simple to make, delicious to eat but it’s also incredibly healthy and good for you….